Home » English » How To Start New Financial Year in Vyapar? It’s EASY! You have 2 ways to do it. 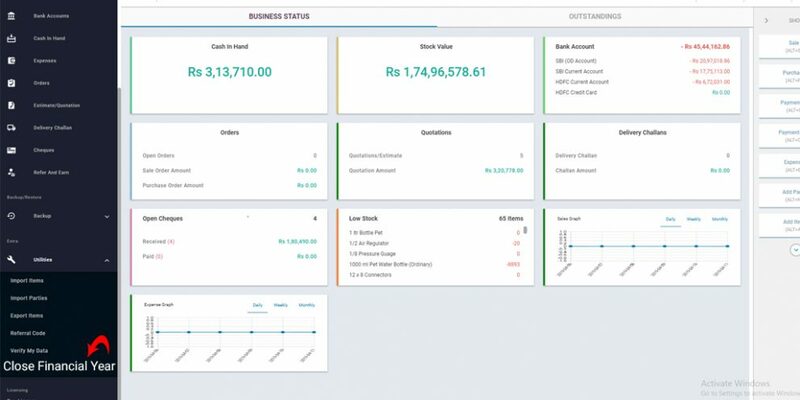 Option 1: Reset invoice number & other transactions! 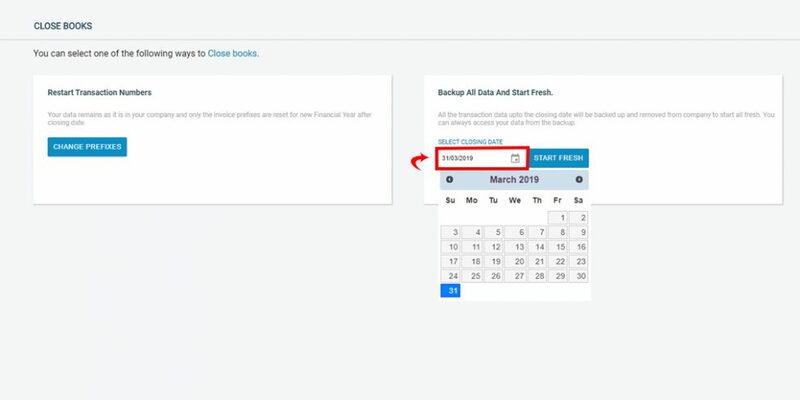 STEP 1: From Left Menu, go to Utilities, Click on “Close Financial Year”. STEP 2: Under “Restart Transaction numbers”, tap on “Change Prefixes”. Not finding this option? Update to the latest version of Vyapar App. 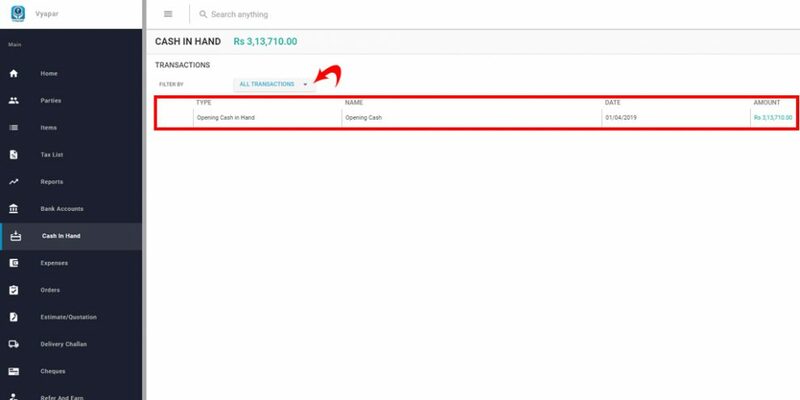 STEP 3: Change Prefixes of your invoices, delivery challan, estimate etc & click on DONE. Your invoice number and other transactions will restart from 1. STEP 4: You’re now ready for your NEW Financial Year! 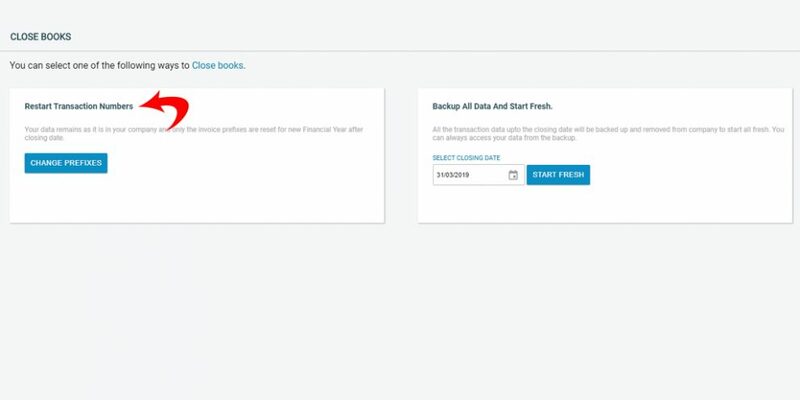 Option 2: Backup all data and start fresh! STEP 1: From Left Menu, Go to Utilities, Click on “ Close Financial Year”. 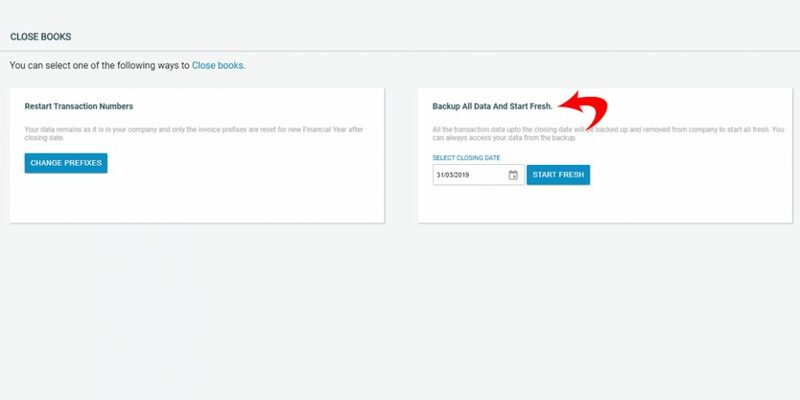 STEP 2: Under “Backup all data and start fresh”, choose 31/03/2019 as closing date, and click on “Start Fresh”. 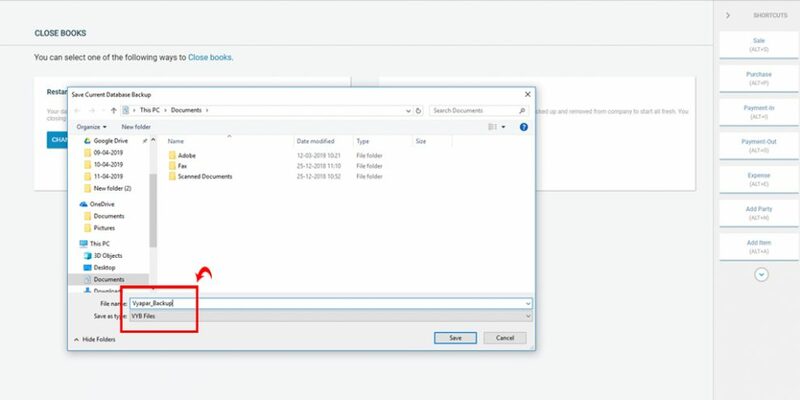 backup file a name and save it on your mobile, desktop, google drive or wherever you want to. STEP 4: Vyapar app will restart to start fresh. 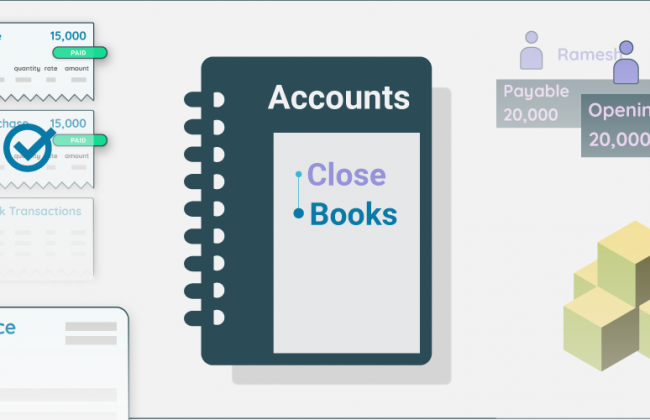 Closing balances will be seen as opening balances in the newly created company. Invoices and other transactions will start restart from 1. 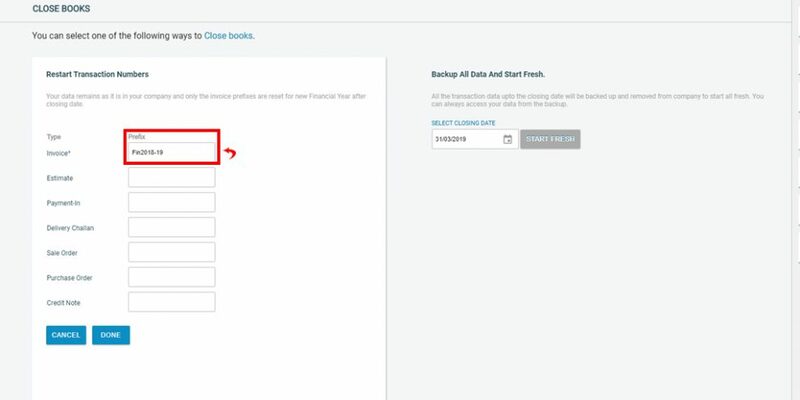 STEP 5: You can now start entering your new financial year end data.